These days, more and more adults are moving into the home of another member of their family. Whether it is due to money, health or another reason, this living arrangement can create stress, cause arguments and make it unpleasant for everyone. If you are currently in this situation or think you may be in this position shortly, try these tips to make the new living arrangement as peaceful as possible. Money. This may be the touchiest subject you need to work out before living together. It is always a good idea to come to an understanding about who will pay for the various costs of living. If the person moving into the home is expected to contribute toward the household expenses, now is the best time agree on how much and when these payments are due. Personal space. Living with anyone can test your limits of personal space, but when you are staying with a family member, it is easy to disregard any sense of privacy. This is especially true when a grown child returns to their parents&apos; home. Before living together set personal boundaries and make sure everyone involved will respect them. Set a timeframe. Just like you would have to sign a lease before renting an apartment, it is important to discuss approximately how long the situation will last. An older parent who is moving in with a grown child needs to be honest if they are looking for a long-term housing solution or just a temporary one. Grown kids returning home should set a firm date of when they plan to move out. Act like a guest. 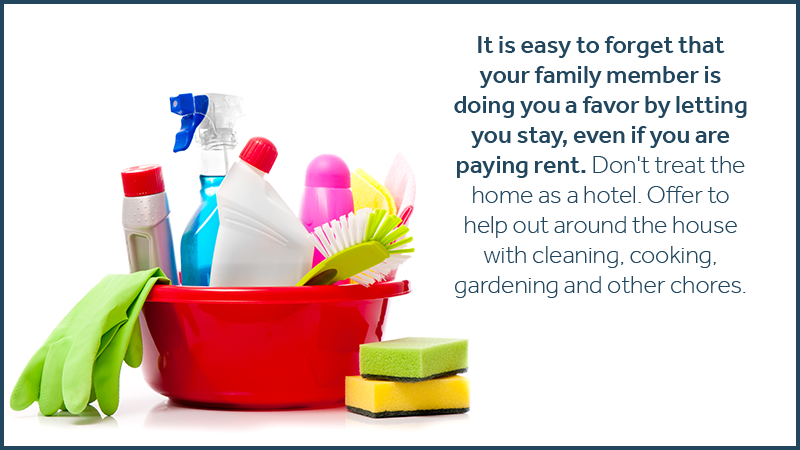 It is easy to forget that your family member is doing you a favor by letting you stay, even if you are paying rent. Don&apos;t treat the home as a hotel. Offer to help out around the house with cleaning, cooking, gardening and other chores. Play nice with each other. You may have a lot of emotional baggage from years ago, but to make living together work, you need to start with a clean slate. Try hard to work out any issues without becoming too emotional or bringing up the past. Don&apos;t get too comfortable. If your goal is to get your own place, focus on making that a reality from the start. Don&apos;t fall into the trap of becoming complacent with the situation to where you don&apos;t feel motivated to move out. 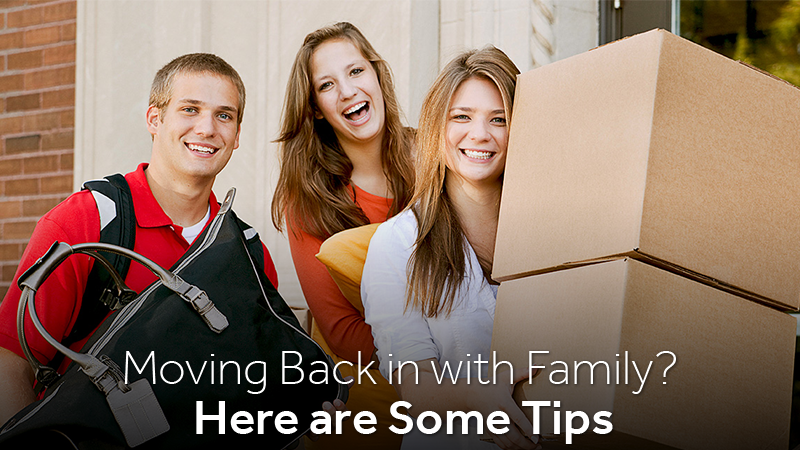 Are you moving back home, but have too much stuff? Zippy Shell of West Houston is a convenient storage solution for you. Whether you have to store a little or a lot, call 832-581-4852 for a free quote today!